Whether it’s academic, personal, financial, or otherwise, we’re all running from something. 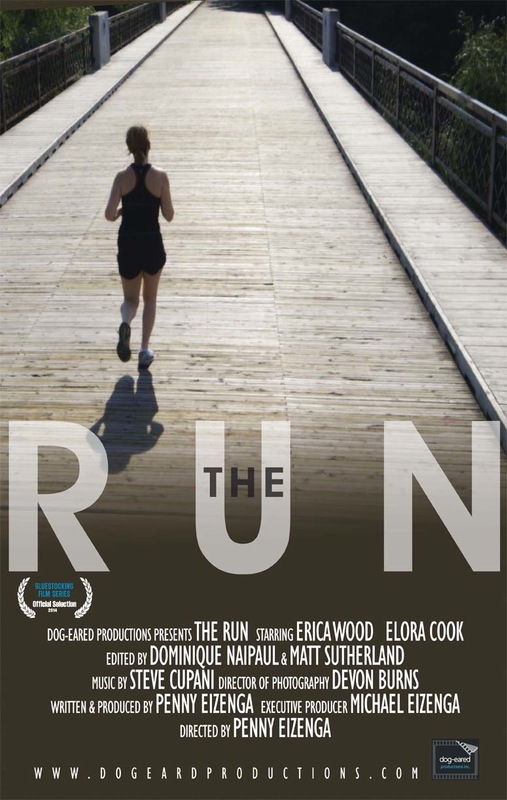 The protagonist of Penny Eizenga’s film The Run, however, is doing it literally; she’s running from her own demons, ones that nobody should ever have to face. From a bathrobe - clad puppet show to saving a woman’s life, her run takes her through snippets of other people’s hardships, and as we travel with her we’re reminded of the twists and turns life can take. It is both heartbreaking and heartwarming, enchanting and emotional, and lead actress Erica May will capture your attention in ways you don’t expect. The Run is directed, written, and produced by Penny Eizenga; someone whose life has taken its own winding road. Graduating from Lucas Secondary School after spending only the latter half of senior year there, Eizenga spent 6 years in the United States before settling down in London full time. She spent a number of years in the London community theatre scene, performing with Passionfool Theatre, Fountainhead Theatreworks as well as the Grand Theatre before moving into filmmaking, and it’s clear from this short that she’s found the creative finish line she’s been looking for. Penny Eizenga is planning to attend the screening and Q&A to follow.